Malaysian chicken curry on Monday, fried tofu with a black bean sauce on Wednesday, and morning-glory muffins for breakfast on Friday. A week does not go by when I don’t try something new in my kitchen. The recipes and inspiration for the dishes I make come from a plethora of sources. They can be found on pages torn from magazines, marked by dog-eared corners in favorite cookbooks, or new creations inspired by a recent restaurant meal. I love learning about a new ingredient or trying out a new technique, yet I also have those recipes that are my go-to recipes. Those recipes you turn to when you need something to be a success and when culinary failure (or the thought of it) isn’t an option. Many of these go-to recipes are family recipes, like my mom’s recipes for spaghetti sauce and banana bread, that have never left me down. Others are just classic recipes that have become favorites in my kitchen like my cheesiest macaroni and cheese or the crowd-pleasing gruyere and caramelized onion tart. Reliable and delicious, these are made over and over and over again for a reason. 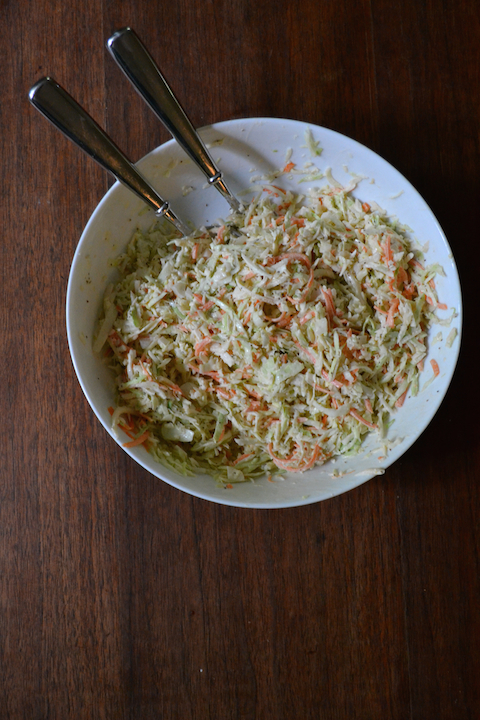 This recipe for creamy cole slaw is one of those recipes. 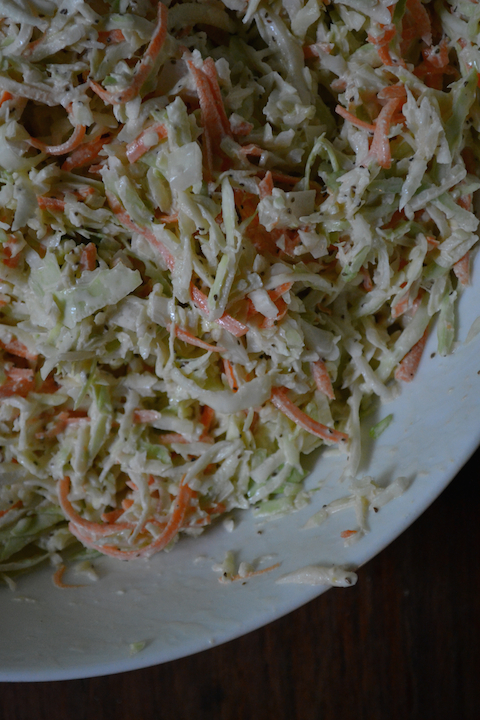 As we head into summer and backyard barbecues, one needs a good cole slaw recipe and this should be it. Happy cooking! Tradition is not a bad thing especially when it makes everyone at your table happy. 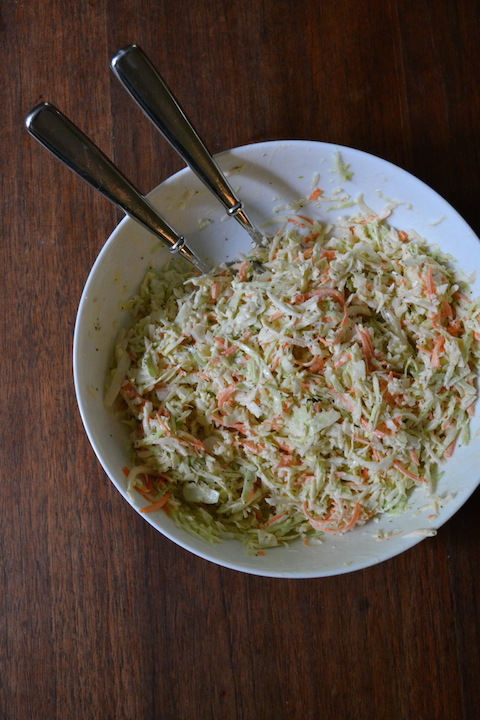 This cole slaw won’t win any awards for being cutting-edge, but it is a crowd pleaser and a dish that everyone will always be happy to see on the table. It also makes a wonderful accompaniment to shrimp po’boys. 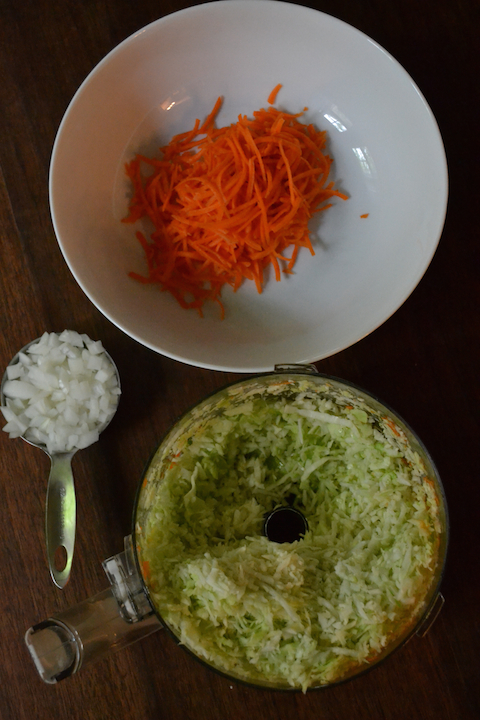 Shred the cabbage in a food processor with the grater attachment to yield approximately 4 cups of shredded cabbage. Grate the carrot in the food processor to yield 1 cup. 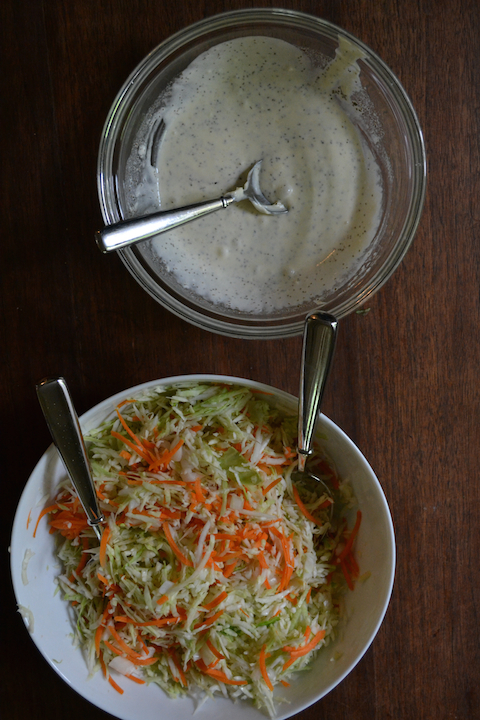 Combine the shredded cabbage, grated carrot, and Vidalia onion in a large bowl. Set aside. In a small bowl, whisk together the mayonnaise, white wine vinegar, celery seed, ground mustard, granulated sugar, salt and freshly ground black pepper to taste. Pour the dressing over the vegetables and toss to coat. Adjust seasonings as needed and chill for at least one hour before serving.